Bradley was born in California, but he eventually embarked on an eastbound migration that landed him in northeastern Ohio. His intimidating last name is originally Dutch. His ancestors settled in New England when it was still New Holland, and apparently they were mad enough about the change that one of them fought in a war against the English in 1776. Those Schencks can hold a grudge. 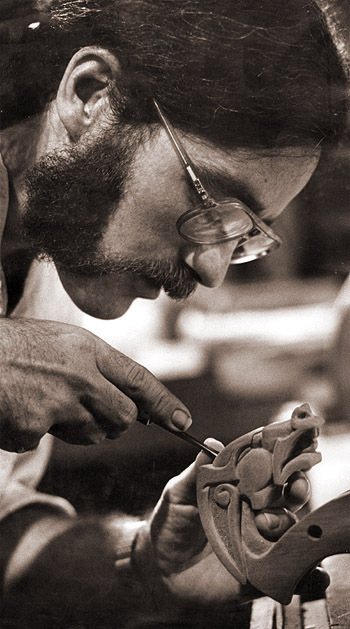 It may be because of his two Irish American grandmothers that he wandered into Celtic art; already working as an artist by 1979, he ran across a copy of George Bain's Celtic Art: The Methods of Construction and began to explore traditional and Celtic Revival styles in his own work. At that time, this was all in ink and watercolor. While Bain was seminal, Bradley gives perhaps even more credit to John G. Merne's A Handbook of Celtic Ornament in forming his own take on Celtic design. Merne's Celtic Revival style adopts some features of the Art Nouveau and Arts and Crafts movements in a very natural way and the nature of that (brief) book is less inclined to mathematical diagrams, and more to giving an artist ideas about how to fill spaces with original knotwork. But ask him who his favorite artist is, in the Celtic vein, and he'll sit you down and tell you about the little-published Art O'Murnaghan (Brian Kells), who worked on a modern day illuminated manuscript in the early 20th century and whose work, housed now in the National Museum of Ireland, seems to make Bradley glow. Bradley's had a varied career (as many creative people do) with jobs as a draftsman and sign painter, and at a retail window design company; he spent seventeen years in the computer games industry as an artist, game designer, and art director. Today, he says, he lives by his wits. This seems to involve selling his own work online and the occasional freelance commission. Visitors to this site may also be interested in Bradley's book of Celtic knotwork designs for artists and craftspeople - Celtic Knotwork Borders in Repeating Sections. Nowadays you can find Bradley's work in several places on the World Wide Web. 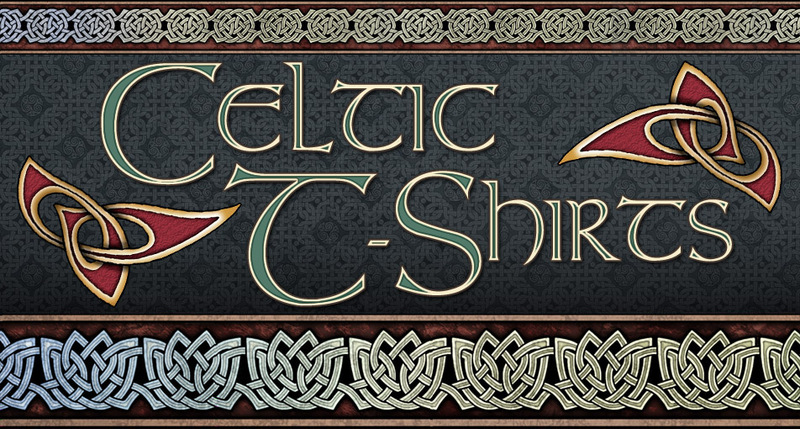 His posters, greeting cards, coffee mugs, stickers and many other products are available here at celtic-tshirts.com; his t-shirts, along with those products and his book of Celtic knotwork patterns, can be found at The Celtic Art Works. Over the past twenty years he's also spent a lot of time in Retropolis, with what he calls "The Art of the Future That Never Was". That's led to several illustrated books like Slaves of the Switchboard of Doom, Patently Absurd, and The Lair of the Clockwork Book. 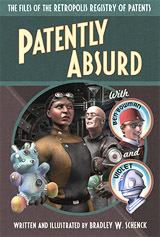 You can read several of these illustrated Retropolitan stories at Thrilling Tales of the Downright Unusual, where you'll also find Bradley's curiously satisfying Pulp-O-Mizer ("the world's most advanced pulp magazine cover generator"). Bradley blogs at Webomator. He also has a page at Patreon as well as accounts at Twitter and Facebook.